The leader for over 20 years Test-X offers you unmatched quality for value products and services. Our proven track record of providing solutions and products to the Printed Circuit Board Industry makes us the clear choice for any of your test fixture needs. 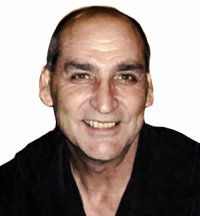 For over 30 years Dave Gingerella has been a knowledge leader in the field of Electrical Test. Building thousands of custom fixtures for top companies around the world has brought him respect from others in the field. If you have questions Dave Gingerella is your answer. Feel free to contact Dave anytime with all your text fixture and product needs.